Maggie Daley Park is a public park located in the northeastern part of Grant Park. 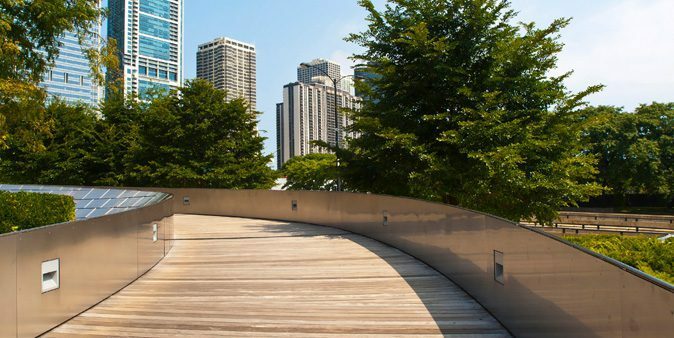 The park is connected to Millennium Park by the BP Pedestrian Bridge, and features land designed by architect Michael Van Valkenburgh. The park features a field house, an ice skating ribbon, climbing walls, tennis courts, a children’s playground, and a garden that honors cancer survivors.